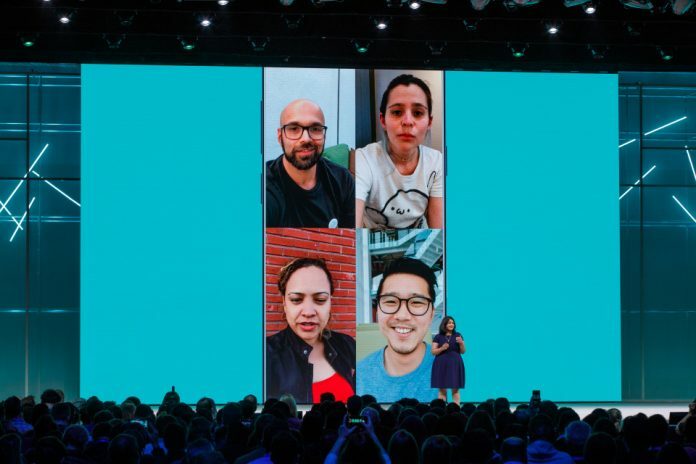 Facebook, the parent company of WhatsApp has just announced on Tuesday 1st May that the most awaited feature “Group Video Calling” is soon going to be introduced. The Group Video calling feature will allow face to face communication between multiple users at the same time. Currently, WhatsApp only allows video calling between two users but the new feature now allows four people to have Group video chat. Facebook has made these important announcements during the F8 Facebook Annual Developer conference that is being held in California. A lot of new features in Facebook products have also been announced in that conference. Whatsapp is widely popular among the users because of its end to end encryption capabilities. The user base of this messaging app is over 1.5 billion around the world. Group video chat will only be available for the smartphones users while WhatsApp web is not going to have this new feature. Mark Zuckerberg emphasized the fact that video calling is very popular among the Whatsapp users. “People have already used about two billion minutes of video calling on Whatsapp alone. This new feature will create new ways for people to connect privately with close friends, groups and businesses”, stated Zuckerberg during his keynote address. The main aim of introducing Group video Calling is to gain more popularity among the users. Another important feature that is also going to be introduced is Whatsapp stickers just like other social media platforms like the Facebook messenger. Whatsapp is going to allow third parties to create their own collection. The release date of the new features is yet to be announced along with some more details regarding how these features are going to work. Instagram, a popular photo-sharing app by Facebook is also going to have a similar “Group video call” feature in the coming months.